The West Wall & Postern Gate stones are numbered 01A to 45M. 1. 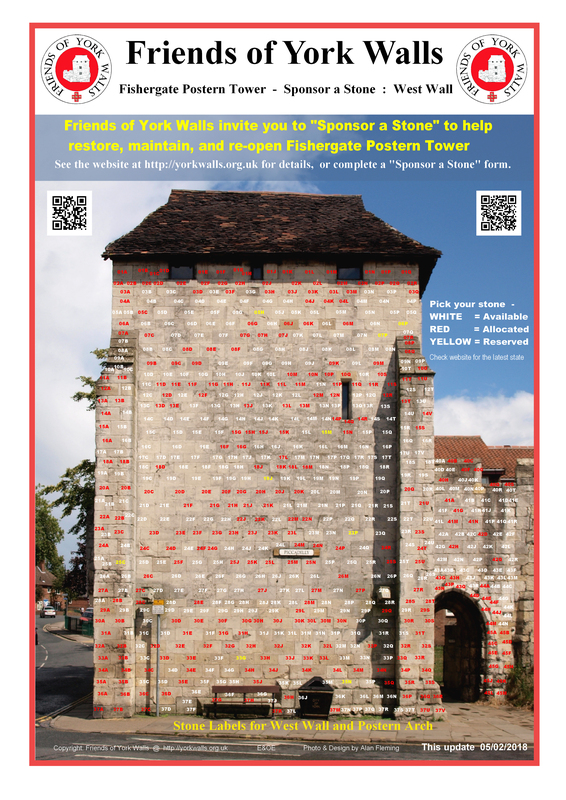 To Sponsor a Stone – look at the photograph below for the West Wall & Postern Gate and pick a free stone – i.e. one with a white label. Click on the photo to view in high resolution. NOTE that this photo will not be as “up to date” as the on-line availability grid below. 2. Now check on the West Wall Sponsored Stones Grid below that the chosen stone is still un-allocated in the live database. GREEN stones are available. Once the database has been updated you will be able to see the sponsors name, and any optional message you entered on the application form, by hovering over your stone reference number on the West Wall “availability grid” above. View the West Wall Online Sponsors Book here.